Georgia's Home Inspirations: Cherry Crisp and other Baked Fruit Desserts! Cobbler: fruit topped with a crust made from pie pastry, cookie dough or biscuit dough and baked. Crisp: fruit topped with a mixture of butter, sugar and flour then baked; topping often includes nuts. Buckle: fruit mixed with yellow cake batter and baked. Betty: fruit combined with buttered bread or occasionally cake crumbs and baked. Crumbs are usually layered with fruit instead of placed on top as in a crisp. Slump: fruit is topped with biscuit dough, covered and baked so that biscuits steam. Also known as a grunt. Firm fruits like apples, pears, peaches and plums work well in these desserts as the topping is less likely to become soggy. But, by adding a little more cornstarch (the preferred thickening agent) to the filling, you can easily take advantage of the season's berries! Personally, I'm a big fan of crisps that call for a little spice and nuts to create a flavorful, crispy topping. 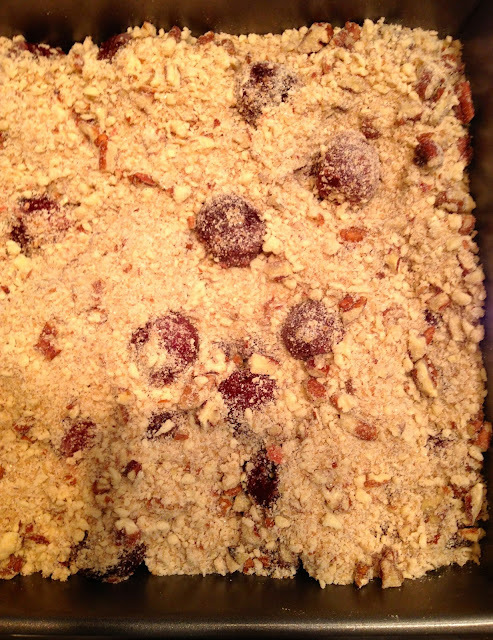 I've used the following recipe to make a great mixed berry crisp and decided to try it with sweet cherries which are in season right now. 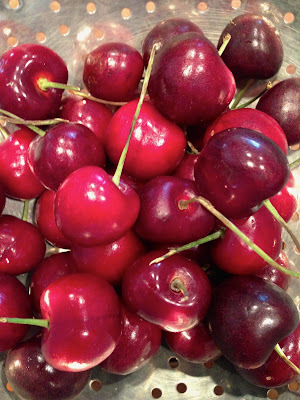 Tart cherries, so perfect for baking, are hard to find so I added a little lemon juice to balance the sweetness. 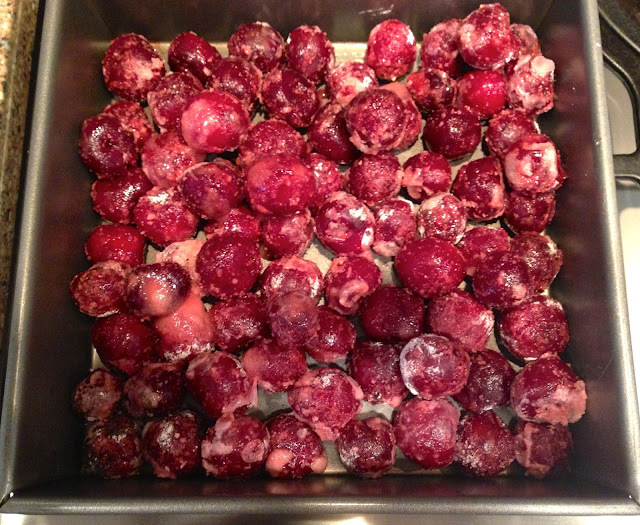 I know fresh sweet cherries are best eaten out of hand, but give this a try. 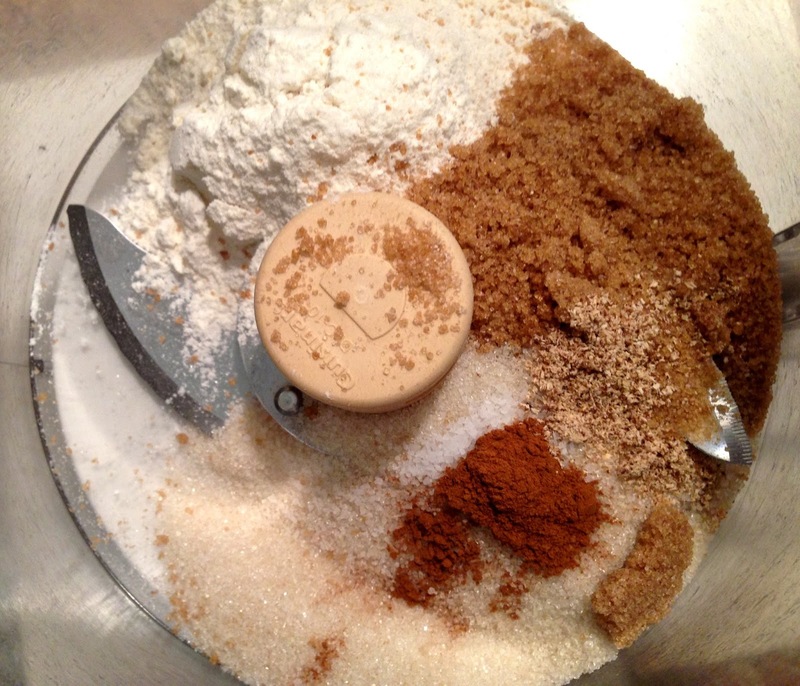 Mix flour, brown sugar, granulated sugar, cinnamon, nutmeg and salt in a medium bowl. 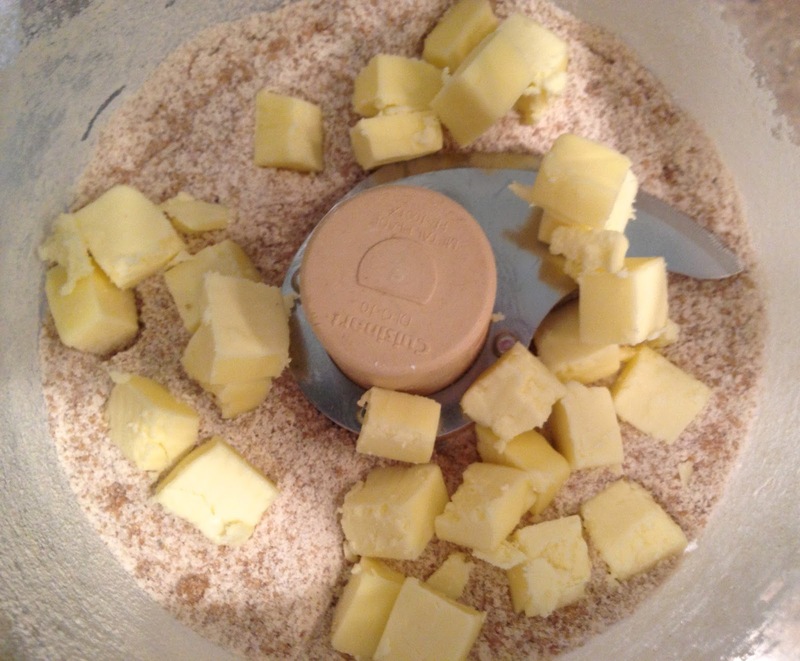 Add butter and incorporate by rubbing butter and dry ingredients together until mixture looks crumbly. Add nuts and toss to distribute evenly. This may also be done by pulsing ingredients in a food processor until the mixture looks like coarse sand. Chill topping for 15 minutes. Toss filling ingredients together and pour into a 1 1/2 quart casserole or an 8x8 baking pan. Spread topping evenly over fruit. Bake crisp at 375 degrees in the center of the oven for 40 minutes. Increase oven temperature to 400 degrees and continue baking for a few additional minutes until the fruit bubbles and the topping turns a deep golden brown. Serve warm with vanilla ice cream or whipped cream of course!